Family is the most precious thing in life. But sometimes circumstances force the couple to break up, despite the presence of a common child. Couples who have no children, you can divorce without problems, but the young mother for this you need to go to court. If you have a child, you can obtain a divorce through the Registrar's office. For this we turn to the magistrate on your place of residence. If the desire to break up the couple is mutual, there is no dispute about who should stay baby, no problems. If between you and your husband have disagreements, write a petition for divorce in district court. 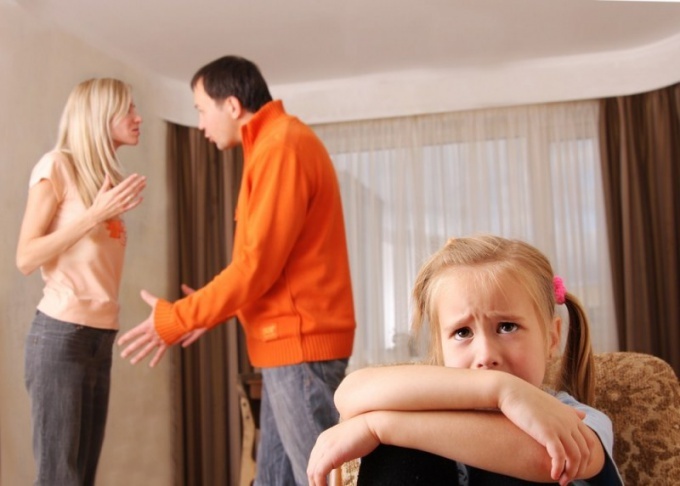 To procedure the divorce dragged on for a long, long time, talk with your spouse and decide who will remain a child will be divided as marital property, what will be the order of communication with the kid, as will be payments of alimony and in what amount. Will also discuss other issues that concern us. Do not forget to ensure all your agreements in writing with a notary. With these documents come to the court and allow the judge to read them. Write a statement in two copies. Example you can see in the court. Pay state duty through Sberbank, save your receipt. Take the marriage certificate and birth certificate of the child and go to court. If these documents are lost, contact the Registrar to restore them. After this time the specialist come to the hearing. If the divorce papers will write not only you, but your spouse is, you will dissolve immediately. If your husband is against divorce, the judge may give a reprieve to several months for a possible reconciliation. If your spouse wants the child lived with him and served a lawsuit in district court, you will have to contact an experienced lawyer. The fact that the judge will decide with whom to leave the child on the basis of various factors: financial situation, housing conditions spouses, etc. If you can't agree on alimony with your spouse, please contact the bailiffs. They will give you the list of required documents that you will need to collect and bring specialists. Professionals will quickly perform the work, and after a short time your ex-husband will pay alimony. Divorce is an unpleasant procedure very troublesome, long: sometimes disputes about children and assets acquired during the family life dragged on for years. The process of divorce will be faster and easier if to immediately contact a lawyer with high qualifications and necessary experience. So, you can avoid many problems and misunderstandings.